Ryan Florio never had a sip of tea in his life before his hiking trip in the Andes. A hike in the Andes has inspired a Parma man to brew up a business. He’s selling the tea he enjoyed in Peru and using a kiosk at Cleveland Hopkins International Airport to spread the news about it. At Cleveland Hopkins Airport Gate B-4, Ryan Florio sits down with us to explain why he opened the first Inca Tea Café at his hometown airport. Ryan Florio travelled with college friends to Peru against doctor's orders. 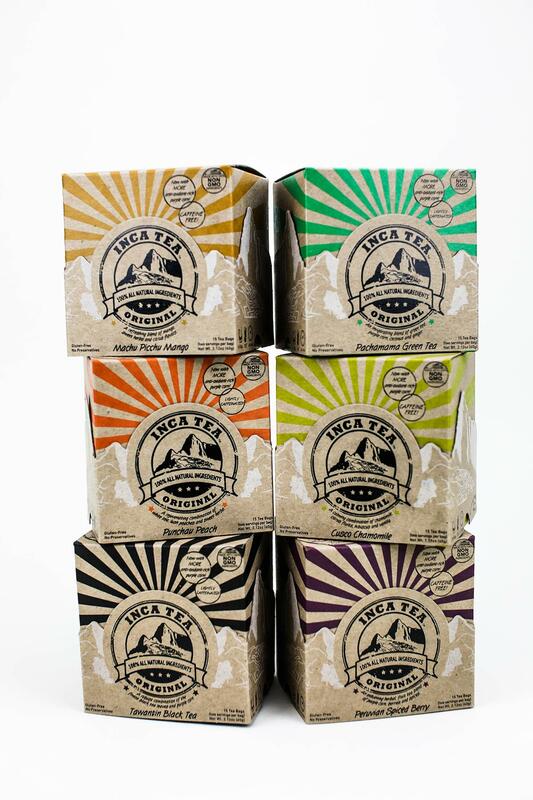 A self-confessed serial entrepreneur, the marketing graduate of Miami University of Ohio knows one of his biggest selling points is Inca Tea’s back story. “I had a great opportunity four years ago to travel down to Peru and hike the Inca trail with my two best friends. And literally on the first day of our hike our Sherpa over an open fire boiled water. He threw in purple corn, some cinnamon cloves, apples and pineapples, and made an old ancient tea recipe for us. What amazed him most was how it made him feel. Doctors had strongly advised Florio not to take that hike. He’s had a lot of health problems. As soon as he got home from Peru he went straight to Google. In Peru they sweeten the tea, but Florio adds nothing. You can buy a honey stick, though, at his kiosk. In a few clicks he found research about potential health benefits of purple corn, the key ingredient in the tea he drank on the hike. The beverage is called chicha morada. “It’s been brewed for 1,000 plus years in Peru,” says Florio. One sip of the Peruvian national drink changed the Parma resident’s life. Not only for his business, but also for his health. Studies in Japan and the US indicate that the purple corn in Inca Tea is a kind of superfood. It’s higher in antioxidants than blueberries, and may help in reducing blood pressure and fighting obesity, diabetes, and cancer. Studies show consuming purple corn may also reduce joint inflammation. Florio added two new blends late last year. His own favorite is the mango tea, but they all contain 10% by weight of purple corn. The FDA says he can’t make such claims on his product labels. All he really needs for his tea are the purple corn cobs. It’s done differently in Peru. Florio says his Peruvian Spiceberry blend is basically chicha morada. Doing business at the airport isn't without its challenges. All of Florio's equipment and supplies are inspected daily. But it has more customers than he ever dreamed of. He’d planned to keep it local when he got his tea on the shelves of Miles Market in Solon. He credits the airport café for helping the online part of his business take off. In Inca Tea’s first year he had only $1900 in internet sales. Florio plans to open more kiosks at other airports. Kay Angeloff’s the Inca Tea barrista at Hopkins. Florio got started with 4 blends: white tea, black tea, mango, and the Peruvian Spiceberry. All his teas are made with purple corn. Barrista Kay Angeloff is more of a coffee drinker, but she loves how the new chamomile blend of Inca Tea helps her sleep. To drink like an Inca, I opted for the Peruvian Spiceberry. “That’s my best-seller right there," says Florio. The taste was pleasing, sweetened with a honey stick from Ashland, Ohio. The Inca Tea Café carries only locally-made products, and upon arrival at gate B-4 traveler Sue Trombley of Concord saw the sign for Cleveland’s-own Mitchell’s Ice Cream. That’s what attracted her, but she’s intrigued by Inca Tea. “Everything’s made right here in Cleveland from the boxes to the production,” Florio tells her. “Love it. Love it,” says Trombley. Inca Tea's kiosk is at Gate B-4 at Cleveland Hopkins International Airport. Ryan Florio loves the idea, and thinks he’s hit on something big.